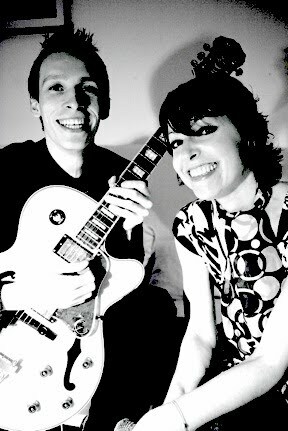 69 Colebrooke Row: Live music- tonight! Sunday 26th September! 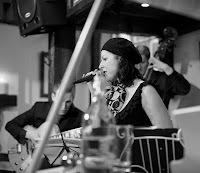 The Jazz In Paris project is French-American singer eVe Buigues accompanied by Scottish guitarist Kevin Glasgow. The Jazz In Paris Project bring a fresh and innovative approach to jazz with their original French adaptations of familiar jazz tunes, their unique take on traditional standards, and their smooth versions of unexpected hit songs such as The Eurythmics' Sweet Dreams and Prince's quintessential Kiss. In a charming, unassuming way, The Jazz in Paris Project bring a touch of class and the enticing sound of Parisian romance to any event. A former Los Angeles resident, eVe Buigues is well-known for her singing work on various American TV series (Jag, Andy Richter Controls The Universe), films (Notorious C.H.O., The Antwone Fisher Story), and major artists' albums (Michael Jackson, Rodney Jerkins). A prolific songwriter, she recorded three full-length albums with LA band Jariya, and the soundtrack for several films featuring star comedian Margaret CHO (Notorious C.H.O, Revolution, I'm The One That I Want, Bam Bam and Celeste, The Grocery Store), as well as for the History Channel, Star Crossed, and Joe Black's School of Rock.